The financial and physical cost of healthcare fraud is staggering and psychiatrists are over-represented in the commission of fraud. The Citizens Commission on Human Rights (CCHR) applauds last week’s Department of Justice (DOJ) Medicare Fraud Strike Force decisive action to stem the rising tide of fraud occurring within the Medicare system, arresting dozens of doctors, nurses and medical professionals for billing $712 million in patient care that was never provided or unnecessary. CCHR is expanding its own investigation into psychiatric healthcare fraud involving fraudulent billing for drug and other treatment of vulnerable children and the elderly, specifically continuing its seven-year review of the national private hospital chain owned by Universal Health Services (UHS). With the Federal Bureau of Investigation (FBI) declaring that “rooting out healthcare fraud is central to the well-being of both our citizens and overall economy,” CCHR is seeking information from employees, patients, family members or friends of those who have suffered abuse in a psychiatric facility that bills Medicaid, Medicare or other healthcare insurance companies. To date, CCHR has documented numerous complaints about UHS facilities, including unlawful and damaging use of restraints (even on young children), restraint deaths, and teenagers and other patients being so violently handled that one patient’s arm was broken. There are also ample reports of heavy reliance on psychiatric drugs—antidepressants, antipsychotics, stimulants and sedative-hypnotics—which can be billed to Medicaid, Medicare and other insurance plans. In March, UHS headquarters in Pennsylvania was added to a multi-federal agency investigation (DOJ, Office of the Inspector General of the Department of Health and Human Services and the FBI), looking into 21 of its psychiatric facilities. Among the more than 195 UHS psychiatric and behavioral centers, $3.7 billion in revenue is generated annually. CCHR found one psychiatrist working at River Point Behavioral Health in Florida between 2009-2013, writing 5,819 prescriptions in 2012—three times greater than the average of prescriptions for all psychiatrists in Florida. 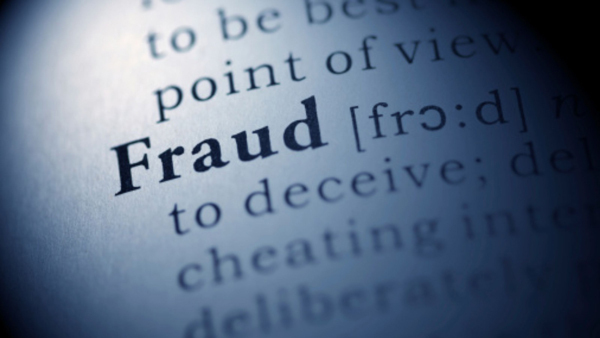 The examples of the psychiatric fraud and abuse are numerous and frightening. 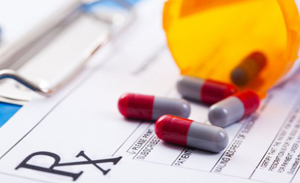 As part of its investigation into prescribing and billing practices, including UHS facilities, CCHR found, for instance, one psychiatrist working at River Point Behavioral Health in Florida between 2009-2013, writing 5,819 prescriptions in 2012—three times greater than the average of 1,801 prescriptions for all psychiatrists in Florida. This same psychiatrist billed $140,000 to Medicare for procedures and services in 2012, which is $93,654 more—or three times greater—than the average for Florida psychiatrists. And, between 2009-2014, the psychiatrist received $278,795 from pharmaceutical companies that manufacture psychotropic drugs. Another psychiatrist at River Point billed Medicare $502,778 in 2012, receiving more than half ($258,156) in Medicare reimbursement. A psychiatrist at the National Deaf Academy at Mt. Dora, Florida billed Medicare $891,371, receiving Medicare reimbursement to the tune of $367,023—a whopping $339,838 more than the average for Florida psychiatrists. Four psychiatrists at Timberlawn in Dallas, Texas, billed Medicare $666,836 for services in 2012 with Medicare reimbursing more than $314,290. One psychiatrist accounted for $184,000, which was $166,166 more than the average psychiatrist’s Medicare payment in Texas. About 14% of Medicaid beneficiaries used a psychotropic drug during calendar year 2011, at a cost of nearly $8 billion in fee-for-service for psychotropic drugs—30% of the program’s total fee-for-service drug spending. While the financial cost of psychiatric fraud is being revealed, there are much more disturbing data. For example, of a sample of some 533 psychiatrists and psychologists convicted of crimes reported to CCHR, fraud accounted for 36% (191) of the total convictions, followed by patient sexual abuse (30%) and drug-related crimes (13%). Based on the data so far collected, psychiatric financial fraud and patient abuse is rampant. CCHR believes first-hand accounts of these psychiatric abuses are necessary to better understand the depth of the injury and is counting on public participation to expose the egregious harm currently being perpetrated and safeguard against future fraud and abuse.